Tony Worth was appointed as Her Majesty’s Lord-Lieutenant of Lincolnshire in 2008. He married Jenny in 1964 and spent three years as a Farm Management Consultant in Victoria, Australia before returning to England to manage the family firm A H Worth & Co Limited in Holbeach Marsh in 1968. 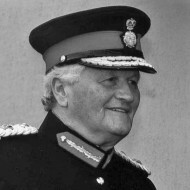 He was High Sheriff of Lincolnshire in 1990/91, appointed a Deputy Lieutenant for Lincolnshire in 1994 and became Vice Lord-Lieutenant in 2002. He was President of the Lincolnshire Agricultural Society and a member of council. He was also a member of the Board of the Country Land & Business Association, a member of the Board of Governors of the University of Lincoln and a member of the Lincolnshire Probation Board, having served as Chairman from 1999 to 2001.